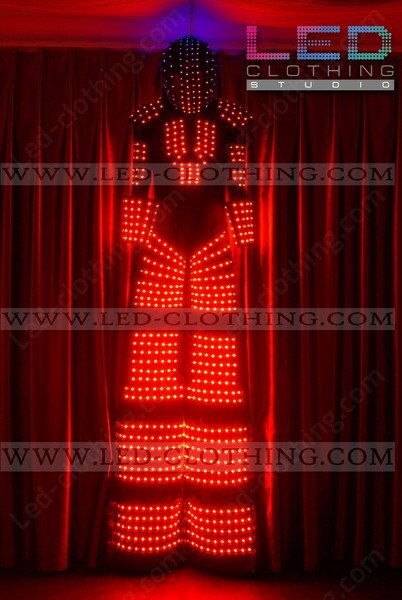 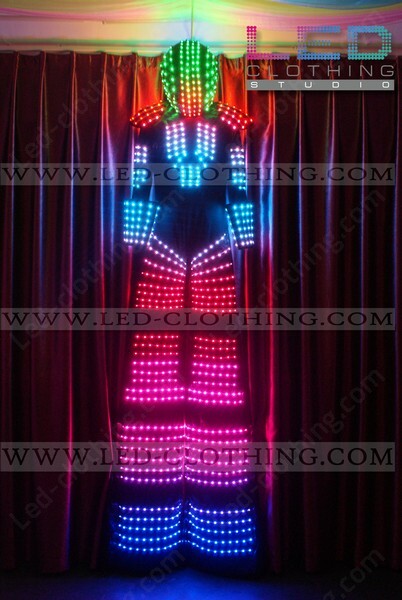 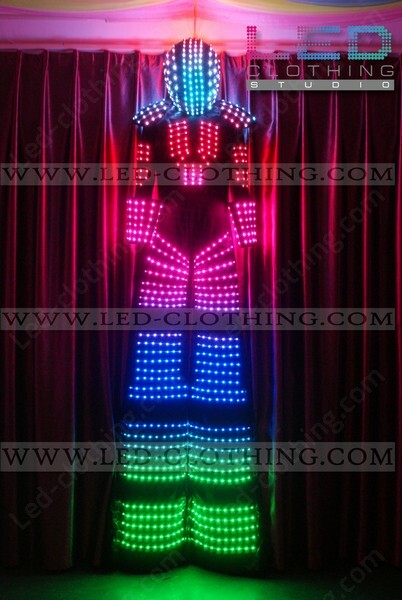 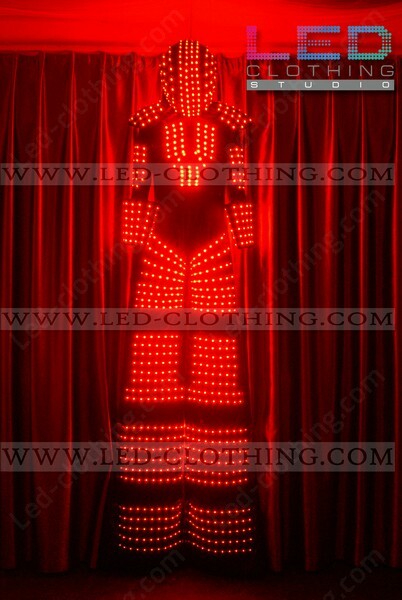 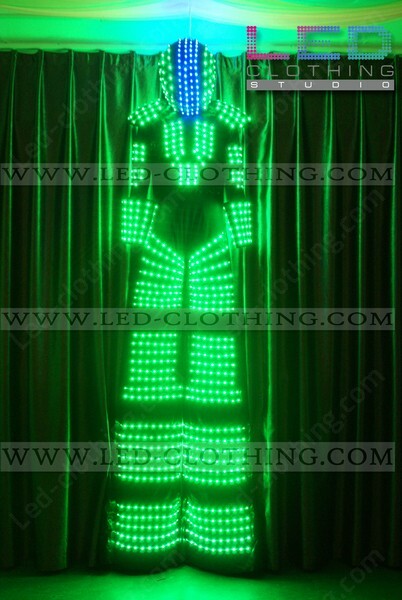 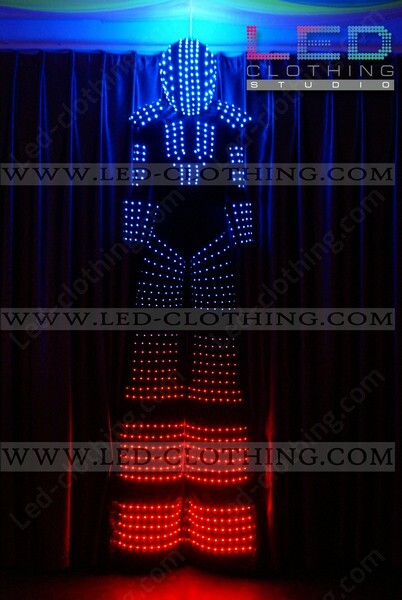 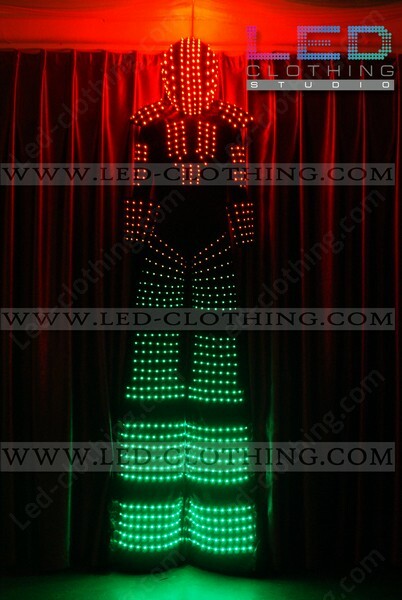 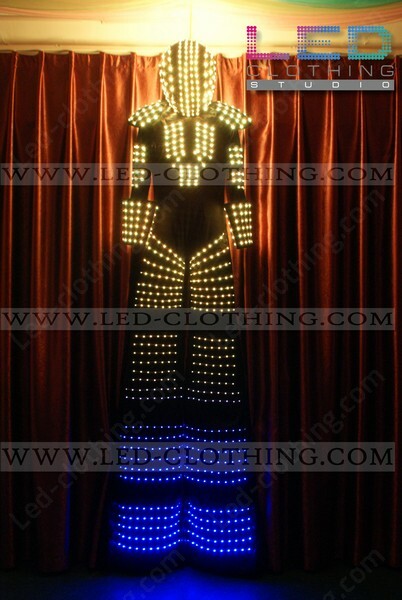 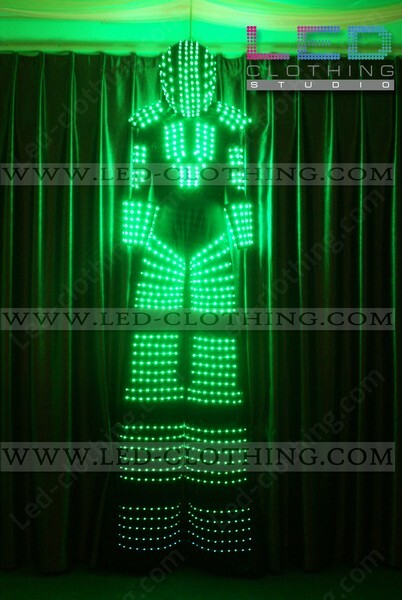 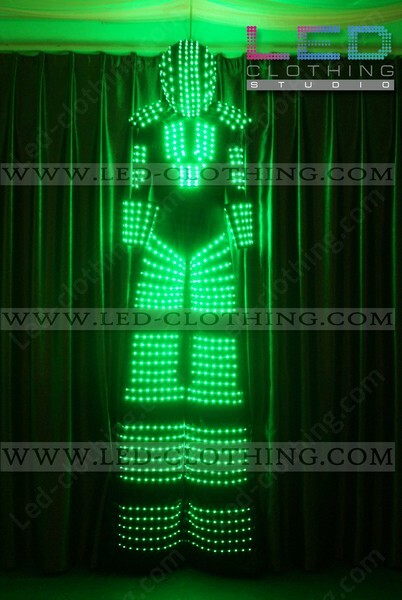 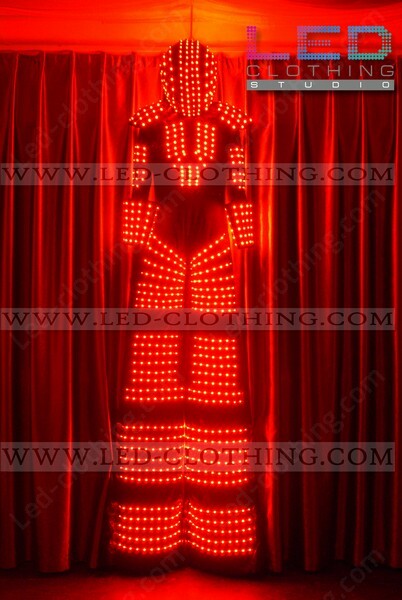 Kryoman Digital LED Robot costume | LED Clothing Studio Inc. 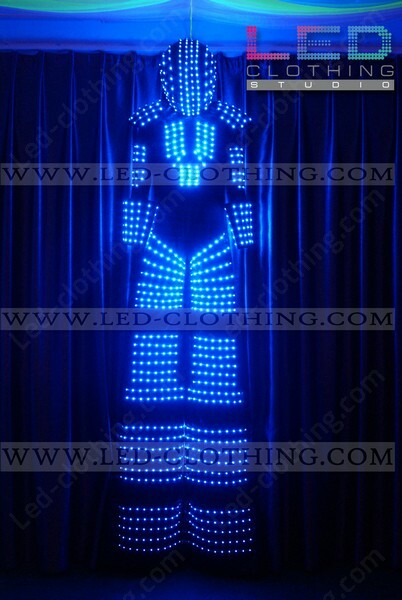 Awe inspiring and formidable this LED Kryoman costume has become a bright feature to a number of celebrities shows and parties. The Kryoman LED digital costume features rigid pads thoroughly braided with Superbright LEDs forming a lofty robot shell, so bright and shiny that it surely won’t stay unnoticed. 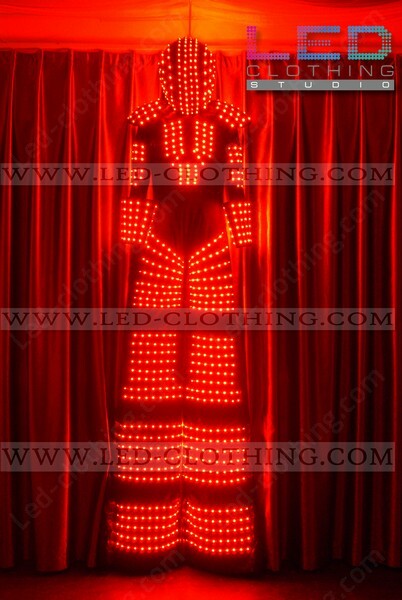 Over 2000 shockproof high end quality LEDs are involved in creating unique luminous patterns, that can be easily switched with the help of SD or wi-fi controller. 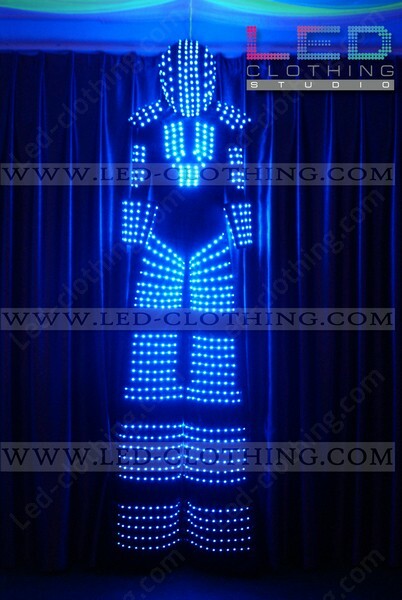 The best effect though is achieved when using a smoke machine, charge your party up with our Kryoman LED digital Robot costume!